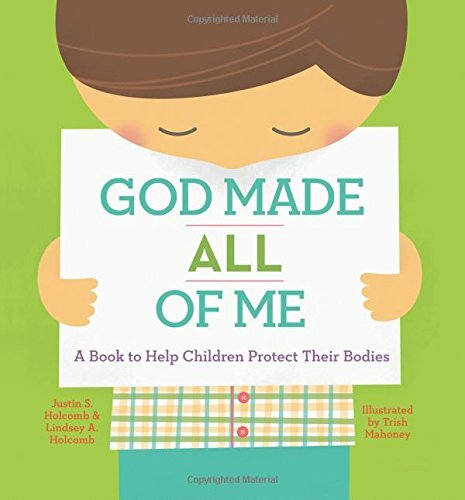 For the past couple of weeks, we have been learning about our bodies. I wasn’t sure if I was going to dive right into this cool new unit this soon, but the children were interested in it. That is the great thing about child-led learning; you can take what your kids are excited about and run with it. 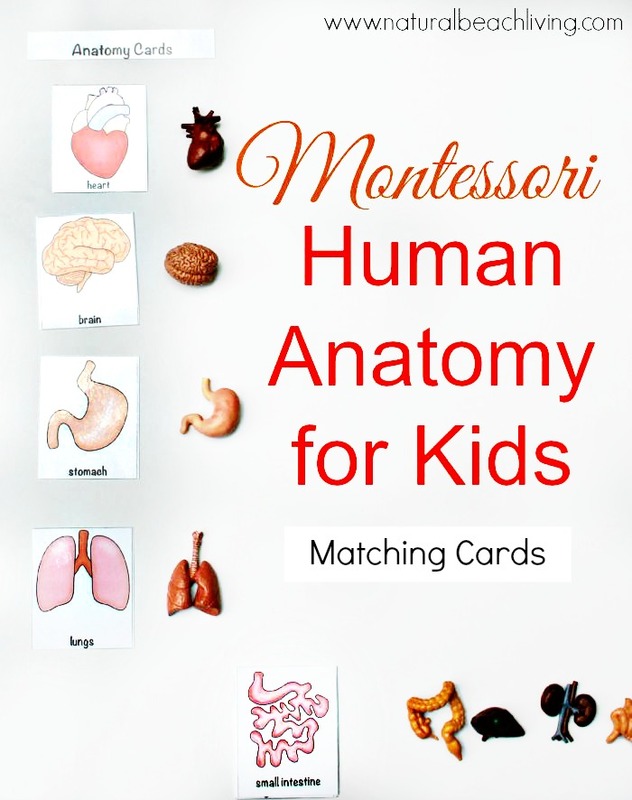 Today we are sharing our Montessori human anatomy activities and great free printables. Enjoy! We always start out our unit studies with great books that go with our theme. We love books and it’s nice to have that quiet time to read and talk about your new theme. 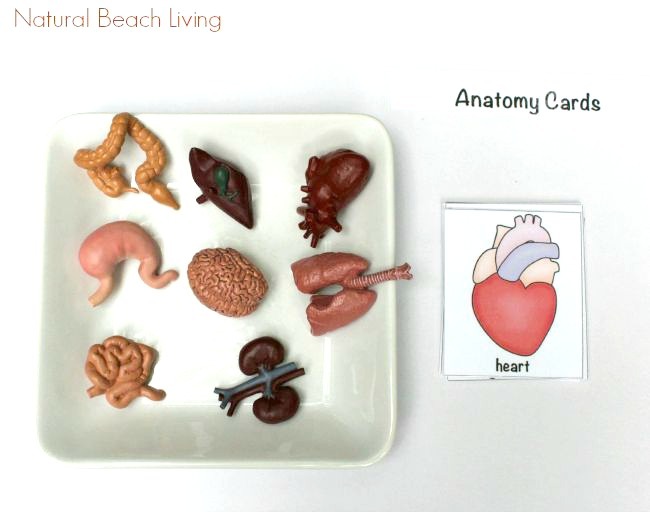 This Human Organ Toob set is perfect for your Montessori human anatomy activities! Right when I saw it, I new I had to add it to our toob collection. 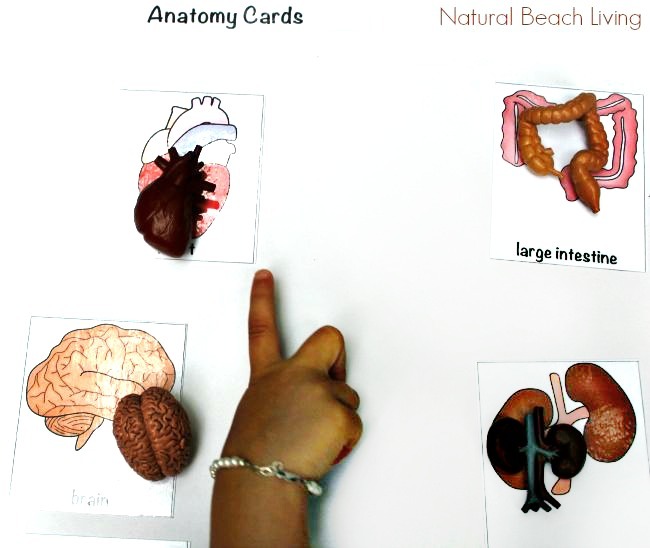 It is a great hands on activity to match your miniature organ to your picture card. 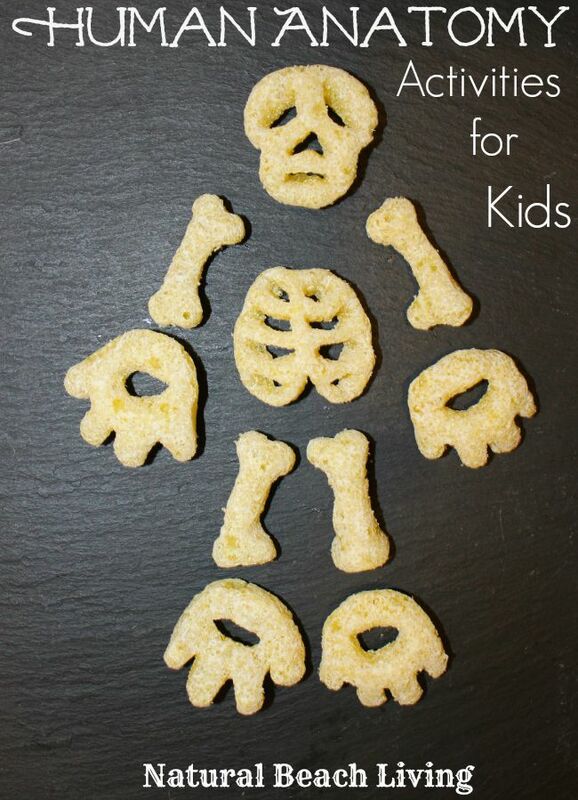 Making this a great activity for toddlers all the way up through older children. Order the Human Organ Toob Set Here. I like to Laminate the printables which makes them last so much longer. You can see The Best Homeschool Essentials Here. These items make my life and homeschooling so much easier. We have been loving these writing pages for children. I decided to laminate them which makes them easy to wipe clean and reuse. Dry erase markers are perfect on these sheets. We have also enjoyed so many other hands-on activities like this great Large Human Anatomy Floor Puzzle. I found these Cheetos white cheddar snacks and just had to pick them up. (not the healthiest 😉 but it was a special treat for our unit. 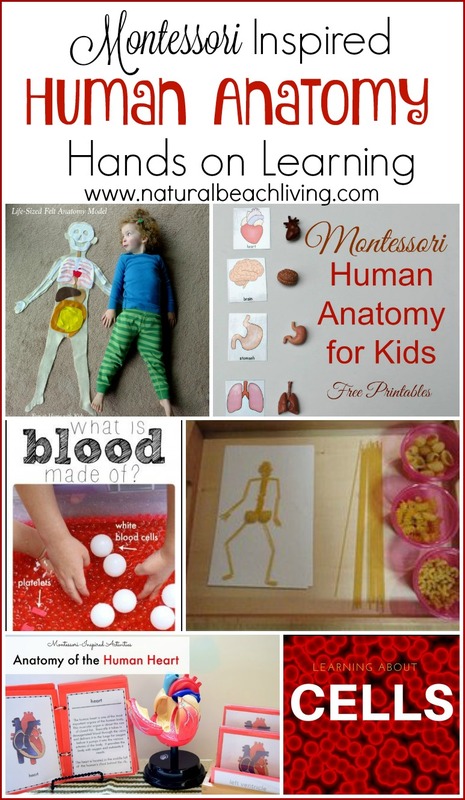 Check out this Health Themed Pinterest board loaded with great ideas for a Health/Anatomy Unit Study. I hope you find a few ideas that you can use. 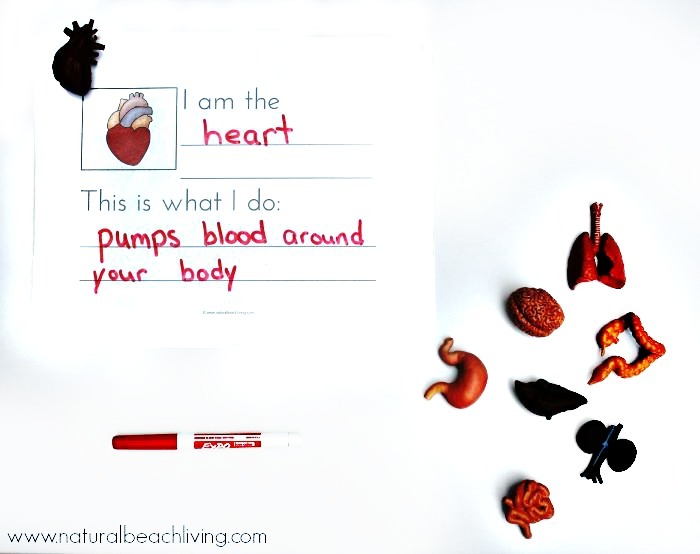 Follow Natural Beach Living’s board Health/ Anatomy on Pinterest. 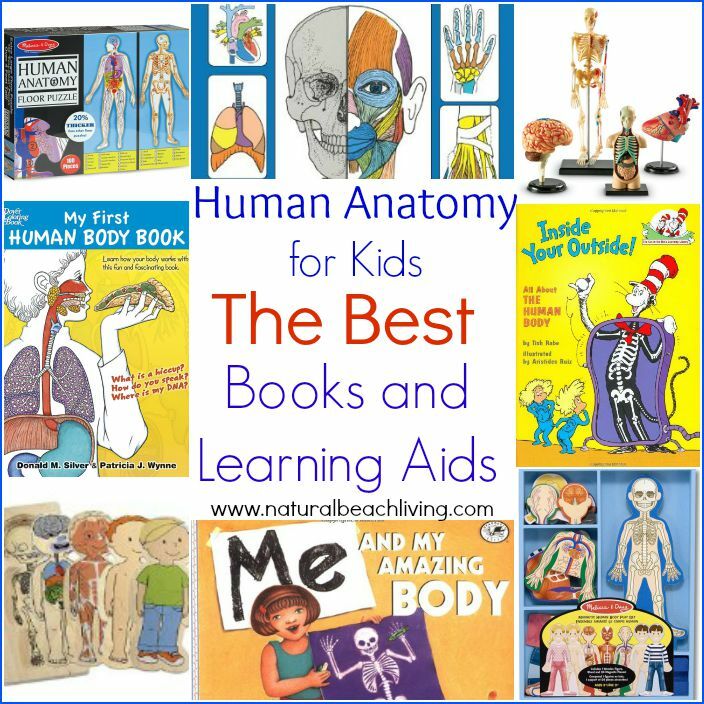 Have you seen The Best Human Anatomy Books and Learning Aids for Kids? You don’t want to miss these! We always like to start a unit study off with great books. I threw the organs into a sensory tub full of oatmeal, added a few strainers and scoops, and let the kids go on organ hunts. When they found them, they matched them to the card. Thank you for the human anatomy card and free writing. I’ve download it. 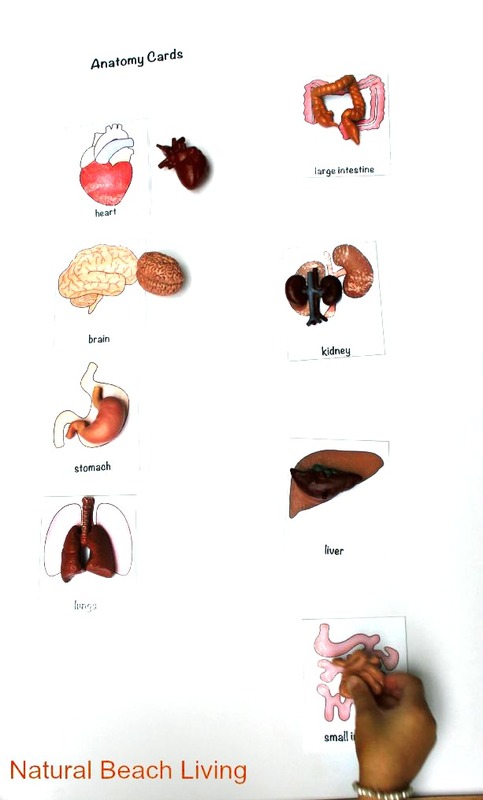 I also tried organs cards but not work. Could you please send me? Hi, I’m trying to download de humand organs cards but seems to be a problem with the server. Can you please help me ? 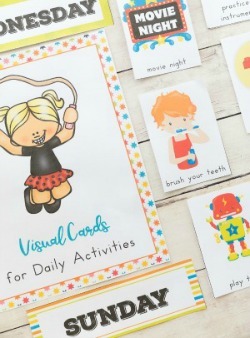 These are great hands on activities! Thank you so much for linking up at the Learn & Play Link Up! 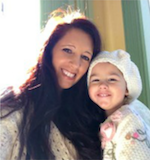 Your post is featured this week at Christian Montessori Network. Inspiring activities! I love when such complex subjects are often made into hands-on easily! And Children love them too! 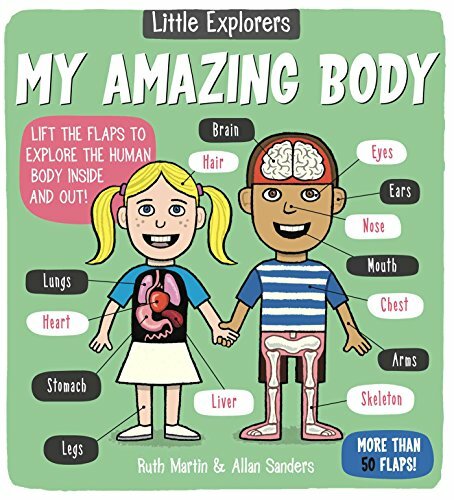 This is such a cool lesson with many different ways to explore the body. 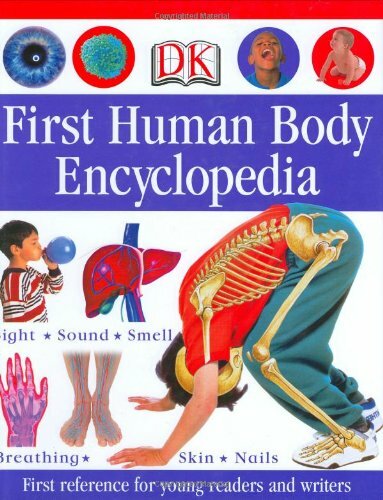 I loved anatomy and health class all through school and college, and even still now. 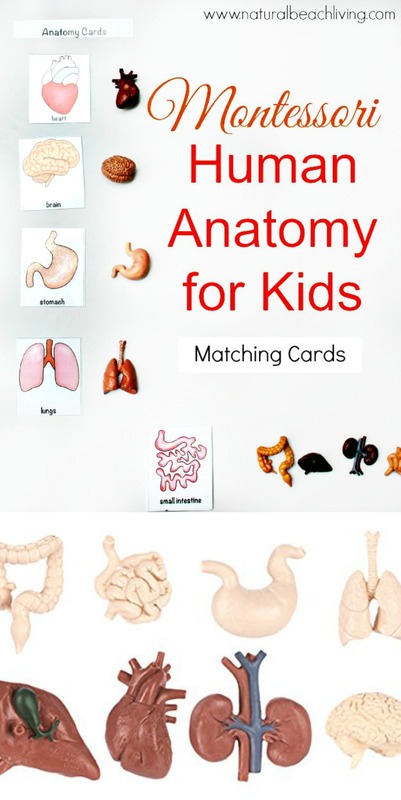 Children and so interested in bodies, but often just get taught basic external anatomy. What a great first step to understanding health! And those little organs are amazing. I am trying to download human organ cards, i got a message that they can’t find the server, please help. No problem. I can send you the link. That happens occasionally with word press.